Baroo! Hello again to all my furry and human followers. Lindsey the full time RV living Corgi here with my latest and greatest Bark Report. Mom has been seeing lots of stuff on human Face Book about RV Slide Out Problems. Since I hear Mom and Dad talking about these issues I thought I would share my four-legged perspective on some of these issues. Did you know that there are a few different kinds of slide out rooms on RVs? Well if not, I can tell you there most certainly are. (Dad’s a big help here since he examines these rooms during the RV inspections that he does.) The slide rooms can be cable, hydraulic, electric drive, or something called Schwintek. Each can have their own set of problems. Common to all these rooms is overloading them. When you get too much stuff (or fat corgi’s) on them, they have to work harder to move in and out. Or maybe they won’t work at all. We did that once in one of our first RV trips. Dad had to go outside and push on the slide out to help it come back in. If slide outs are overloaded they may not come in evenly. Thus, you might see that the top is flush with the RV and the bottom is out a couple inches or so. We’ve have seen RVs going down the road like that. Not good! You know those really big buses that have the heat running through the floor? True story. 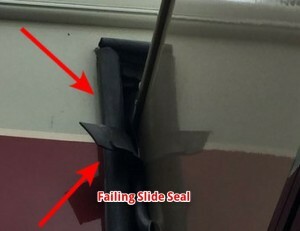 One guy had so many people in his RV for his seminar business that it bent the slide rails for the full side slide out room. Basically, he had too many people sitting on the couch and in the dinette area. 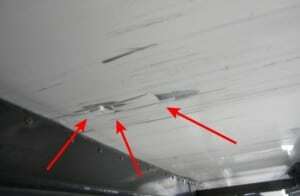 Not only that but due to excess weight in the RV, the heating system running underneath the tile floor was damaged. He had to have the slide out rails and flooring repaired! All these slide rooms have this big rubber seal around them. Dad says they are called bulbs (not tulip!) and sweeps. 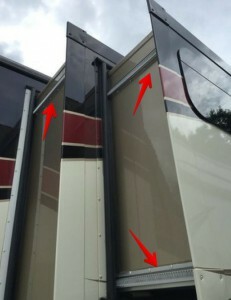 They are supposed to be right against the RV sidewall to keep water and bugs out. Proper maintenance on them is needed so they can do their job. 303 Aerospace Protectant is really good for this application! Sometimes a slide room can get out of alignment. If you drive your RV, it will happen. All those rough roads and the twisting of the frame, or sometimes even extending them without the jacks down. 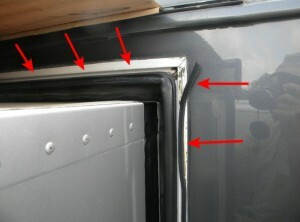 Each RV manufacturer will recommend how it should be done on their RVs. One cool Tech man showed Dad how to adjust ours when we had that big fifth wheel. And he had to do it several times. Easy-Peasy. Next are the slide room roof and seams. Mate, you need to keep those maintained as well! 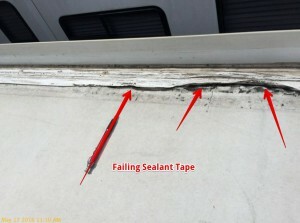 Check the sealant around all the seams and edges to be sure to keep that water out. This corgi is not a fan of water, especially inside. Water comes in and then you can get that nasty black stuff growing. 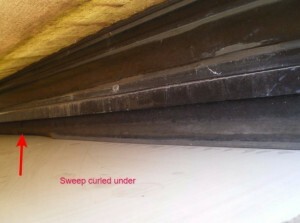 Be sure to check the underside of your slide rooms too: be sure there is no rust on the screw drive that could be impairing its operation, none of the electrical cables are hanging up on anything, the seals are in good condition, and that no rollers are missing. 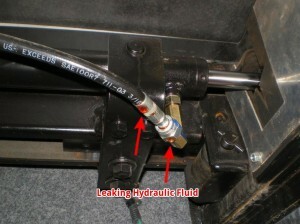 If the slides are hydraulic, it is a good idea to keep an eye on the hydraulic fluid supply in the fluid reservoir tank! Also, keep an eye out for leaks! 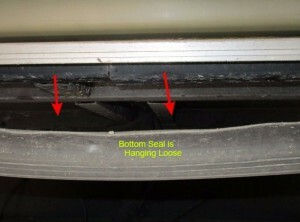 On the cable type slides (you will know these by the two cable wires top and bottom on each side of the slide room), after a period of time, the cables can tear the rubber seal. Be sure to keep an eye on that too. There is also a slide system called Schwintek, the one that has the bars on each side of the room at the top and bottom. We have these on our full time living RV! Okay, another true story. You know those RVs with the slide room in the rear of the RV? On this one RV, when this slide room extended, it just kept going and going and going! Literally. Like the Energizer Bunny. 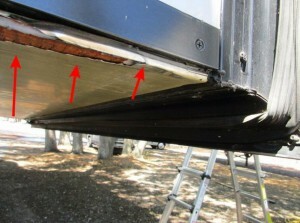 It was a Schwintek slide system that is supposed to stop when it feels resistance from the RV sidewall. Well, the rear cap joints were not sealed, water got in and rotted the wood. The slide out wound up falling out the back of the RV! Talk about a room with a view. 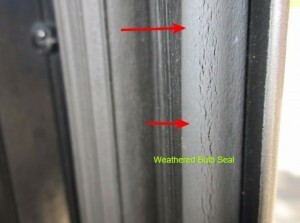 The lesson here, always be checking your sealant and seals around your slide rooms. So you get to your campsite, push the button for your slide room and nothing happens. Hmmm you say. Now what? 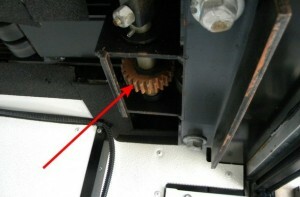 Lots of the motorized RVs require the emergency brake to be on to extend or retract the slide outs. Some may even require that the seats be moved forward. 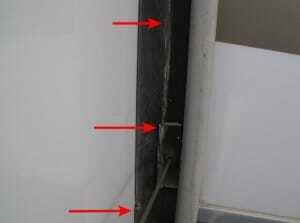 If your slide out rooms are not functioning it may also be a good idea to check your batteries. If the house battery got shut off or there is not enough voltage, they won’t work. 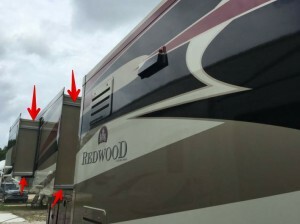 And still other RV’s may require that the jacks be down before the slide outs will operate. Get to know your RV. It will save you from some frustrating moments! When retracting your slide rooms, be sure to check that nothing is in the way of the room as it comes in. You could rip off a seat, get something stuck underneath which could damage the rollers, break something, or rip off a cabinet door. Always use your slide room locks when traveling if they have manual ones. Slide outs can work their way out as you drive if they are not secure. Same goes for extending them, if you have slide room locks. Make sure they are released. If not and you try to slide out the room, you could seriously damage your side wall. Oh and check outside for enough clearance as well. Nothing worse than extending right into a tree, a post, a bin door, or your significant other. Okay, it is time for me to sign off and sign out and catch some zzz’s. Until next time…. have a prime time 2016 Sanibel because of weight of refrigerator is tearing up my floor. do i have any recourse to get this solved? Thanks for stopping by our website and leaving a comment Linda! Was the refrigerator installed by the manufacturer? If so, I would reach out to them to see what the solution to the problem is. Depending on the warranty of the RV it may or may not be covered. Great article. Have a 27’ schwintek slide needs fixing. The side behind driver seat is out of wack. Currently in Roanoke, AL. 2 different service centers say it’s too big for them to handle. Other than heading to LCI factory in Indiana this spring any other words of advice. Note we are new full timers, originally from Florida so we can drive. But no snow please! Also it’s almost in just the bottom drivers corner. Looking to seal that up somehow. One thing I would like to ask you about your use of your Schwintek slideout: when operating them do you hold the switch five seconds after the slideout stops to help the motor controllers to zero out and to be sure they are in alignment? This is the expected procedure for both deploying and retracting them. When we tried to move our slide, the switch seemed to have no electricity because nothing happened. No motor tried to operate, just dead silence. We checked our 5th wheel inside fuse and breaker box and nothing was tripped or burned out. Are there any other breakers or fuses to check in the bins to check? Our slide system is hydrolic. Since you are having issues with a hydraulic slideout system I would say the first place to look is where the 12-volt power comes to the hydraulic pump. What kind of voltage is there? What sort of voltage are the battery/batteries putting out? Did you check the fuses for continuity to be sure they are okay? You could also check the switch for continuity to be sure it is working. I have the same problem. Nothing happens when I flip the switch on the super slide on my Teton. I can crossover the relay and get the motor to go in both directions but the switch doesn’t do anything. The other 2 slides are fine. I would bypass the switch and see if that is the problem. If so, replace it, if not then you will have to trace where you lose power with a voltmeter. I can do that and I’ll let you know how it works out tomorrow.Thank you! Awesome Kim! Glad you got it resolved.